In September 2016 El Warcha started has a three-month art residency with l’Art Rue. 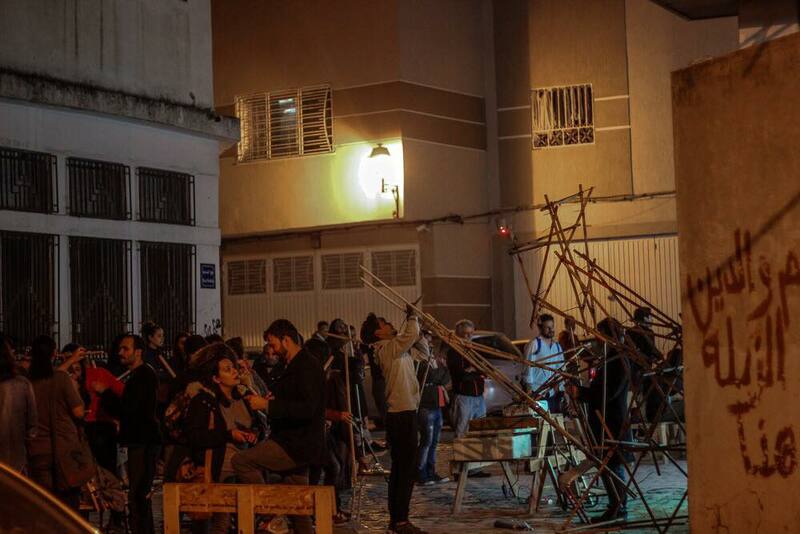 This was an opportunity to test the idea of a collaborative makerspace in the medina of Tunis. This quickly developed into a small community of people who shared an aspiration to make things happen, to build things together and to engage with the city. It literally took a village to keep it going over the last two years. Having a space open five days a week, working with children, designers, artists, inhabitants of Hafsia has made this a unique project. In two years we have built: a cradle, a coffin, a pigeon loft, a Jewish Sukkha, a chicken coop, close to one hundred chairs at least fifty tables, one sword (a theatre prop), a mobile sound system, numerous temporary broomsticks installations in the public realm, in the shape of: a ping pong table, light art installations, bins, race Karts… During the summer El Warcha made most of INTERFERENCE light art festival furnitures. In August eight of us even went to Ghana to make a Bamboo installation as part of a street art festival. While we are still looking for a new studio space in Hafsia, we are now trying to take over the medina with bikes thanks to the support of our friends in the Netherlands. We are also testing the idea of a workshop in the Nefta region with our partner Maison de L’Image. We will soon make a call for an art residency supported by the Amercian Embassy. Parallel to this we are also hoping to open a workshop in north London based in an old people’s home. Thank you to everyone who has been contributing or supporting this project, thank you to our organisation: “Collectif Creatif” who is always behind the scene and who has made it possible to continue. We are looking forward to more people taking over this project and making it their own.